Communism in the Philippines emerged in the first half of the 20th century during the period of American colonial rule, stemming from labor unions and peasant groups. The communist movement has had multiple periods of popularity and relevance to the national affairs of the country, most notably during the Second World War and the Martial Law Era periods. Currently the communist movement is forced underground and is considered to be by the Armed Forces of the Philippines as an insurgent movement. 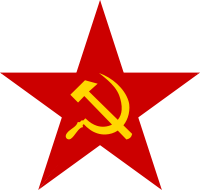 The Communist movement in the Philippines officially began in 1930 with the formation of the Partido Komunista ng Pilipinas (Communist Party of the Philipppines). The party was outlawed in 1932 by a decision from the Supreme Court, but was technically legalized in 1938. During the Second World War the PKP played a part in guerrilla warfare against the Japanese Occupation forces by way of the Hukbong Bayan Laban sa Hapon (HUKBALAHAP, The Nation's Army Against the Japanese). The PKP took a more moderate stance, supporting efforts by the Osmena administration for social reform, before fully committing itself to the support of armed struggle by the Huks. 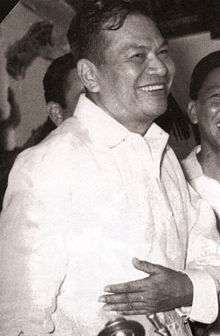 Efforts by the government under Elpidio Quirino and Ramon Magsaysay eventually thwarted the insurrection, culminating with the surrender of the Huk supremo, Luis Taruc, in 1954. The PKP was again officially outlawed by the government, this time by virute of Republic Act 1700, or the Anti-Subversion Law. By this time the PKP took a more moderate stance, shifting its focus from armed struggle to a parliamentary one. Major arrests occurred during this period, the biggest one being the arrest of the secretary-general of the PKP, Jesus Lava, in 1964. In 1968, a new Communist Party of the Philippines was formed by Amado Guerrero (alias of Jose Maria Sison). Its military arm, the New People's Army, was formed the next year and was headed by Commander Dante (alias of Bernabe Buscayno). The CPP-Mao Tse Tsung Thought splintered from the old PKP, clashing with it ideologically, reflecting the Sino-Soviet Split. The CPP and the NPA fought against the Philippine government during the time of the Marcos dictatorship. In 1972, at the onset of Martial Law, Sison was arrested and sentenced to jail for 9 years. He has since went on exile. Communist documents, such as the official history of the CPP as written by Jose Lava, make references to Andres Bonifacio as a direct inspiration to the communist revolution, thus painting the communist movement as a continuation of the "unfinished revolution" started by the Katipunan. Sources claim that Isabelo de los Reyes, an ilustrado, can be considered to be one of the first Filipino labor leaders. de los Reyes founded the Iglesia Filipina Independiente, headed by Gregorio Aglipay, and the Unión Obrera Democrática (UOD), the first labor federation in the Philippines. de los Reyes was influenced by Francisco Ferrer, an anarcho-syndicalist he met during a stay in prison in Barcelona, Spain. in 1901, de los Reyes brought back to the Philippines what can be considered the first batch of socialist literature, consisting of writings by Proudhon, Bakunin, Malatesta and other leftists of the period. Two years later, Lope K. Santos would start publication of his socialist novel, Banaag at Sikat (Ray and Sunrise). It was from labor unions that the first socialist and communist groups came from. The earlier known labor union in the Philippines was the Union de Litografos y Impresores de Filipinas (ULIF), headed by Hemenegildo Cruz. Cruz then helped de los Reyes form the UOD in 1902. de los Reyes' involvement in the UOD only lasted three months, before he was arrested and subsequently pardoned by William H. Taft. de los Reyes decided to retire from the UOD and devote his time to politics. The UOD was succeeded by Dr. Jose Maria Dominador Gomez, who rechristened it the Union Obrero Democratica de Filipinas (UODF). On May 1, 1903, Gomez and the UODF led a labor demonstration to Malacanang, which incidentally was the first observance of Labor Day in the Philippines. Gomez was arrested by the end of the month, but was eventually acquitted in the Supreme Court. He then resigned from the UODF and similarly shifted his attention to politics. At this point, the UODF was dissolved, and Lope K. Santos took the remnants of the group and organized them into the Union del Trabajo de Filipinas (UTF). The UTF lasted until 1907 before it broke up due to intramural troubles and mismanagement of funds. In 1906, Crisanto Evangelista formed the Union de Impresores de Filipinas (UIF), having been influenced by Santos' Banaag at Sikat. Evangelista was one of the leading trade union leaders of the time, having first come from UOD and the UODF. Compared to the two previous unions, which were nationalist unions in nature, the UIF was more socialist, adopting the slogan: "The emancipation of the workers must be achieved by the workers themselves." On May 1, 1913, the Congreso Obrero de Filipinas (COF) was founded, with Hermenegildo Cruz as its first President. Cruz was replaced a few years later by Francisco Varona, a newspaperman. The COF was destined to become the biggest and most organized labor union in the country until 1929. Evangelista became a high-ranking member of the COF, eventually becoming the national secretary in 1924. It was by this time that Evangelista became acquainted with Harrison George, top ranking member of the Communist Party of the United States of America, and with Tan Malaka, co-founder of the Partai Komunis Indonesia. Malaka, at the time, was in exile, and played the role of an Indonesian nationalist. Malaka also met with other leftist leaning labor leaders such as Capadocia, Balgos, and Feleo, before being deported to Amoy on August 22, 1927. Harrison George returned to the Philippines for a second visit in 1927. George was accompanied by Earl Browder, chief secretary of the Pan-Pacific Trade Union Secretariat. Browder met with Evangelista and other labor leaders, resulting in the COF's decision to send Evangelista, Jacinto Manahan, and Cirlio Bognot to the Profintern conference in Moscow in March 1928. On their return Evangelista organized the first batch of Filipino pensionados to study in Moscow's University of Toilers of the East. Two more groups were sent in 1929 and 1930. In 1928, conservative elements of the COF were alarmed by the increasing radicalization of Evangelista and his group, and took advantage of their absence by calling a national convention on May 1 of that year. Varona and Evangelista were ousted, and were replaced by Hilario Barroga and Domingo Ponce, respectively, while the move was orchestrated by Evangelista's enemies in the COF: Ruperto Cristobal, Isabelo Tejada, and Antonio Paguia. Evangelista had plans for radical reorganization of the trade union movement, which would lay the groundwork for the communist movement in the Philippines. These plans were almost thwarted in 1928, but Evangelista chose to bide his time for the following year's conference. The next year, Evangelista and his group submitted a draft thesis which called for measures such as the adoption of a collective leadership, establishment of a workers' party, the promotion of class struggle, and so on. The thesis was allowed to pass to the May convention, where the conservative group allegedly used dummy labor delegates to ensure that the radical measure was blocked. Evangelista and his group walked out of the convention, and the COF was split. Twelve days later on May 12, 1929, a new labor federation known as the Katipunan ng mga Anakpawis sa Pilipinas (KAP) was formed, consisting of 27 of the 35 unions of the COF. On August 26 of the next year, a new political party was organized from members of the KAP, the Partido Komunista ng Pilipinas (PKP,Communist Party of the Philippines). The party itself was formalized as an official entity on November 7 of the same year. These two dates correspond with the Cry of Pugad Lawin and the Russian Revolution, respectively, symbolically linking the PKP with the nationalist and the communist revolutions. While the PKP was mostly concerned with the urban workers in Manila, other leftist groups were similarly being formed. In 1919, Jacinto Manahan founded the Union de Aparceros de Filipinas. The union expanded its activities in 1922 and was renamed the Condereacion de Aparceros y Obreros Agricolas de Filipinas. In 1925, the name was changed to the Kalipunang Pambansa ng mga Magbubukid sa Pilipinas (PKMP, National Union of Filipino Peasants), which became of the largest and most influential peasant labor groups during the inter-war period, and became the precursor to the post-war Pambansang Kaisahan ng mga Magbubukid (National Peasants' Union). Members of the KPMP such as Manahan, Juan Feleo, and Casto Alejandrino, went on to become influential members to the Filipino communist movement. In 1932, Pedro Abad Santos independently formed the Socialist Party of the Philippines (SPP) in Central Luzon. The next year, Abad Santos founded the Aguman ding Maldang Talapagobra (AMT, Union of the Toiling Masses). The AMT and the KPMP were both highly important in the peasant revolts and reforms of the 1930s, although neither group was formally socialist or communist. Members of both of these groups also formed a large section of the Hukbalahap. The newly formed PKP immediately set out with its propaganda effort. The PKP launched an aggressive organizational and propaganda drive among the peasants of Central Luzon and Manila, holding public meetings almost daily. In January 1931, the PKP opened its national headquarters in Quiapo, Manila, and also launched its official organ, the Titis(Spark), reminiscent of Lenin's Iskra. During this time, multiple incidents were attributed to the communists. On January 10, 1931, a peasant uprising occurred in Tayug, Pangasinan. This was blamed on the communists, although the PKP itself was castigated by a foreign critic of not coordinating with the peasant rebels. Besides the Tayug revolt, other peasant uprisings that occurred during the time were attributed to the PKP, and at time the PKP took credit for them, although the truth was that at the time the PKP was weak organizationally. Most members, including Evangelista, believed that the root of the revolution should come from the urban centers, while people like Manahan, Feleo, Guillermo Capadocia, and Mateo del Castillo believed that a strong peasant base was important in achieving the communist revolution. Nevertheless, the PKP had no strong base in Central Luzon at the time. In 1931, Antonio Ora died in an automobile accident in Nueva Ecija. Ora was a high-ranking member of the PKP politburo and central committee, widely regarded to be second only to Evangelista. Ora's funeral became the site of widespread demonstration, with as many as 50,000 worker marching through Manila. A wake was held in Ora's hometown which was attended by 3,000 peasants. Comrades or brethren, the municipal president, Mr. Aquino, has allowed us to hold the parade, but for reasons unknown to me the permit has been revoked. This shows that the big ones are persecuting and oppressing us, who are small, which they have no right to do. After this, Abelardo Ramos cried out, "Let us die fighting them!" Evangelista attempted to continue his speech when the PC arrested him and Ramos. The assembled crowd then tried to advance on the constabulary but were forcibly dispersed by peace officers. Based on these events, the Manila Court of First Instance, on September 14, 1931, passed a decision declaring both the PKP and KAP as illegal organization, and sentencing twenty communist leaders of eight years and one day of banishment to the provinces. Evangelista was additionally sentenced with six months' imprisonment and a fine of 400 pesos for sedition. The convicted communists brought an appeal to the Supreme Court, which affirmed the Manila CFI decision on October 26, 1932. The American administration in the Philippines acknowledged and recognized that the convicted communists such as Evangelista, Manahan, Capadocia, and Balgos were leaders in their trades and their cooperation would have been most beneficial. These men were given offers for executive clemency but were adamant in their refusal. Eventually Manahan would accept pardon from Gov. 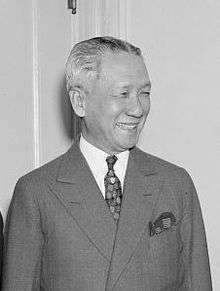 Frank Murphy in 1935, partly due to ideological differences between him and Evangelista, and partly due to the intervention of Manuel Quezon. This, combined with Quezon assuming the presidency of the Commonwealth with his liberalism and genuine desire to garner the support of labor groups, allowed for an opening in rapprochement between him and Evangelista. The adoption of a United Front against fascism by the Comintern also played a part in their release. In 1936, James S. Allen, a high-ranking official of the CPUSA came to the Philippines to persuade Evangelista's group of accepting even a conditional pardon, under the argument that a united front must be maintained against world fascism. Allen then went to Quezon to successfully request the release of the communist leaders on December 31, 1936. He then returned in 1938 to secure an absolute pardon for the communist leaders, which was granted on December 24 of that same year. Given their full political rights, they were now able to act and implement the Comintern's call for a united-front movement against fascism. Allen then mediated between Abad Santos' SPP and Evangelista's PKP to form a merger, despite their ideological differences. The new party was officially called the Communist Party of the Philippines (merger of the Communist and Socialist parties), but was simply referred to as the Communist Party of the Philippines for short. The three top officers of the new PKP were Evangelista, Abad Santos and Capadocia, who were national chairman, vice-chairman, and general secretary, respectively. 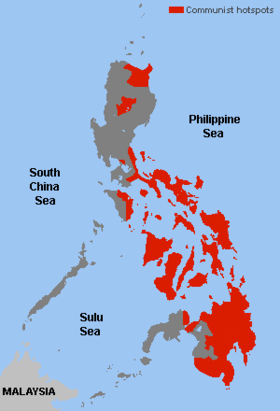 The outbreak of the Pacific front of the Second World War provided the Communist Party of the Philippines with the opportunity to raise a people's militia, although efforts to combat Japanese fascism through a united front from above approach were underway months before the Pearl Harbor attacks. A Popular Front was established, headed by Pedro Abad Santos, and participated heavily during elections in Central Luzon. The PKP, through a front organization known as the Committee for Democracy and Collective Security, initiated a nationwide boycott of Japanese goods. The concept of a people's militia was conceived by party leaders as early as October 1941, when the PKP convened with other anti-fascist political groups such as the League for the Defense of Democracy and the Friends of China. 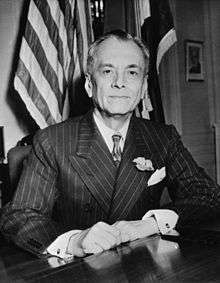 In December 1941, the PKP sent a twelve-point memorandum to both President Quezon and US High Commissioner Francis B. Sayre, pledging its "loyalty to the governments of the Philippines and the United States". When the Japanese forces entered Manila on January 2, 1942, top leaders of the PKP did not leave the city, relying on the idea that "the safest place for communists to hide is right next to the enemy - where the enemy is least likely to look." This did not work out for the communists, and on January 25, the Japanese Kempetai arrested Abad Santos, Evangelista, and Capadocia. The Japanese also arrested Agapito del Rosario, former vice-chairman of the SPP, and two relatives of Abad Santos. Additionally, a Chinese communisted named "Comrade C" acted as an adviser to the Central Luzon Bureau and representative of the Chinese Bureau, the organization of local Chinese communists. The CLB was headed by Lava and acted as the party's wartime politburo. In February 1942 a "struggle conference" was held in Cabiao, Nueva Ecija to discuss organization, strategy, and tactics. A united front tactic was agreed upon as a means of attracting the broadest sections of population, not necessarily simply communists. A three-front resistance was agreed upon: military, political, and economic. The military aim was to harass the Japanese continuously and keep it off-balance so as to prevent it from focusing on activities aimed at winning the goodwill of the people. The political aim was to discredit the Japanese-sponsored republic and build the concept of a functioning democracy as a grass roots level, while the economic objective was to prevent the enemy's looting. At the advent of this conference, several armed groups were immediately organized and began operating in Central Luzon. A significant event was on March 13, 1942, when a squadron headed by Felipa Culala (alias Dayang-Dayang) encountered and defeated Japanese forces in Mandili, Candaba, Pampanga. On March 29, 1942, the guerrillas were formally organized into the Hukbalahap, eleven days before the Fall of Bataan. Around this time independent resistance groups have already started in Central Luzon, mostly from members of peasant groups such as the KPMP and the AMT. The Hukbalahap military committee was composed of Taruc, Alejandrino, Culala, and Bernardo Poblete (alias Tandang Banal). Taruc and Alejandrino were chairman and vice-chairman, respectively. The Hukbalahap high command was also joined by the military commissariat; a party apparatus that provided guidance to the Huks. The Hukbalahap, however, was not a purely communist group, nor was it a communist group disguising as a nationalist one, although it did have prominent communists and socialists in its top positions. The Hukbalahap was composed of squadrons, with each squadron divided into platoons and squads consisting of 100 officers and men. Two squadrons formed a battalion, and two battalions formed a regiment. The Huk structure was modeled after the Chinese Red Army. The Huks also had a manual called Fundamental Spirit, which served as a public relations guide. The Huks initially had contacts within the American army through Lt. Col. Claude Thorpe, but his capture and execution ended plans for a join high command in the Philippines. Lava laid plans for the creation of the Barrio United Defense Corps, a barrio-level government which was to maintain peace, order, and set up food production and recruitment in Huk controlled areas. PKP organizers quickly went to work to set up BUDCs in Huk controlled barrios, which contributed to its success as a resistance army, although in reality there was an overlap between independently formed barrio governments, "neighborhood committees" set up by the Japanese, and BUDCs. The Huks enjoyed early successes with their continuous attacks, aimed at raising morale through quick successes as well as to acquire weapons for the severely unarmed group. The Japanese conducted two counterattacks against the Huks, on September 6 and December 5, 1942. Both attacks did nothing to dampen the frequency of Huk raids, and only served to intensify Huk operations. On March 5, 1943, the Japanese struck the Huk headquarters in Cabiao, Nueva Ecija in a surprise attack. A large number of CPP cadres and Huk soldiers were captured during the raid. In light of the aftermath of the Cabiao raid, PKP leadership began to adopt a "retreat for defense" policy, reducing the army organization to teams of three to five member groups and avoiding direct confrontation with the enemy. Most Hukbalahap squadrons did not follow such a policy, and a party conference in September 1944 declared the retreat for defense policy to have been erroneous. Vicente Lava was removed as general secretary and a troika leadership was put in place, consisting of Pedro Castro, Jorge Frianeza, and Primitivo Arrogante. By the end of the war, the Huks had 1,200 engagements, and inflicted some 25,000 enemy casualties. The Huks' strength consisted of 20,000 fully armed regulars and some 50,000 reservists. The end of the war saw the return of American forces in the Philippines. The Americans, with the help of USAFFE guerillas and former PC members, forcibly disarmed Huk squadrons while charging other guerrillas of treason, sedition, and subversive activity. This hostile attitude from the Americans came from misinformation from USAFFE units operating in the Philippines, who opposed the Huks' aggressive stance against the Japanese and their extra-governmental operations. This also led to the arrests of Luis Taruc and Casto Alejandrino in 1945, as well as incidents such as the massacre of 109 Huk guerrillas in Malolos, Bulacan. In September 1945, President Sergio Osmeña released Taruc, Alejandrino, and other Huk leaders from prison. The PKP, through Huk leaders, then formally disbanded the movement and formed the Hukbalahap Veterans' League in an effort to get the Hukbalahap recognized as a legitimate guerrilla movement. Alejandrino was its nominal chairman. At this time the PKP was also busy laying down the groundwork for mass organizations. On March 15, 1945, the Committee on Labor Organizations (later renamed Congress on Labor Organizations) was formed in San Lazaro, Manila, headed by five guerrilla leaders affiliated with the pre-war Collective Labor Movement. On June 3, the KPMP and AMT were reformed into the Pambansang Kaisahan ng mga Magbubukid (National Union of Peasants), with Mateo del Castillo as national president and Juan Feleo as vice-president. Lastly, the PKP had a hand in forming the Democratic Alliance, which was formed on July 15, 1945, although plans for it had begun as early as September 1944. The DA was an anti-collaborationist party formed by prominent figures in the resistance movement, including Dr. Vicente Lava, who still had a position in the PKP central committee. While the PKP laid the foundation in forming these groups, the highest leaders of both the DA and the CLO were not communists, but rather progressive intellectuals with leftist leanings. Talks of forming a new political party that represented a continuation of the United Front strategy were first conceived during the September 1944 convention. The DA also had a strong peasant base, sharing a lot of membership overlap with the PKM. The goal of the Democratic Alliance was to field candidates who were sympathetic to the peasants' rights in the April 1946 elections. On September 22, 1945, the PKP made its first public appearance on the eve of the "March on Malacañang" demonstration held by the DA. The PKP issued a manifesto calling for Osmeña to oust government officials who were known to have collaborated with the Japanese during the war, and to continue the united front struggle against fascism. The manifesto was signed by Pedro Castro, who was the new general secretary of the PKP after the dissolution of the troika. The PKP then held an open congress in the February of the next year. President Manuel Roxas, opposed by the PKP and the DA at the time for collaborating with the Japanese and his pro-American stance. During this time the Democratic Alliance was preparing for the April 1946 elections. Their goal was to elect their six Central Luzon candidates into congress. The PKP initially did not wish to support Osmeña, calling him a "reactionary and counter-revolutionary", and wished for the DA to field their own Presidential and Vice-Presidential candidates. However, an overwhelming majority of the DA opposed the proposal, as well as a minority within the PKP itself, including Vicente Lava. The DA instead reasoned that above all else, Manuel Roxas must be defeated. Roxas was known as a top-ranking collaborator with the Japanese, was regarded as a fascist, and was against Philippine independence, and so was seen as the lesser of two evils. In the 1946 elections, the PKP lent their support to Osmeña and the DA, who managed to win six congressional seats in Central Luzon, including two for Luis Taruc and Jesus Lava. Congress, however, did not allow the six candidates to take their seats in the House of Representatives, although no measure to suspend them was formally signed. A Supreme Court inquiry found that the ousting was less about terrorism and more about the passing of the Bell Trade Act, and commented that "If these members of Congress were counted, the affirmative votes in favor of the proposed amendment to the Constitution would have been short of the necessary three-fourths vote in either branch of Congress." The unseating of the six congressmen would have blocked the measure from being passed due to a lack of a two-thirds majority in the vote. The unseating of the DA congressmen, combined with unrelenting abuses of power from MP's in Central Luzon against PKM, DA, and Huk Veterans, and the Roxas administration's inclination in using military force only exacerbated negative sentiment among the peasants in Central Luzon. The new Roxas administration attempted a pacification program, with help from members of the PKP, PKM, and DA. Representatives such as Taruc, Alejandrino, and Feleo would be accompanied by MP guards and government officials to try and pacify peasant groups, however this did not result in any sort of success. 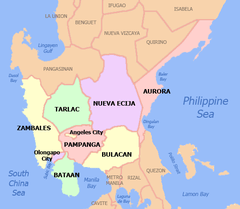 Within days of the so-called "truce", violence once again erupted in Central Luzon. Taruc, del Castillo, and Feleo claimed that civilian guards and government officials were "sabotaging the peace process". On August 24, 1946, Feleo, on his way back to Manila after a pacification sortie in Cabiao, was stopped by a large band of "armed men in fatigue uniforms" in Gapan, Nueva Ecija. Feleo was accompanied by his bodyguards and four barrio lieutenants, and he had planned to present them to the Secretary of the Interior Jose Zulueta to testify that their barrios where shelled by government forces for no reason at all, forcing them to evacuate. Feleo and the four barrio officials were taken by the men and killed. Thousands of Huk veterans and PKM members were sure that Feleo was murdered by landlords, or possibly the Roxas administration itself. The supreme test of your power has come. In your hands rests the destiny of our miserable people and our motherland. Yours is the power now to plunge them into chaos and horrible strife, or pacify and unite them as brother Filipinos in the spirit of liberty. He then joined with the peasants and revived the Hukbalahap General Headquarters, beginning the Huk insurrection. On March 6, 1948, Roxas outlawed the Hukbalahap and the PKM. Five weeks later, Roxas succumbed to a heart attack. Majority of the Huks were found in Central Luzon, with smaller contingents found in Southern Luzon. As early as July 1947, the Hukbalahap had already referred to itself as the Hukbong Mapagpalaya ng Bayan (People's Liberation Army), although media sources and contemporary members used the terms "Huks", "Hukbalahap", and "HMB" interchangeably. After the Feleo incident, most peasant groups lost confidence in the Roxas administration and were reluctant to surrender their arms. Clashes between veterans and the government increased between 1946 and 1947, and peasants who were going to surrender their arms under the government's "pacification program" held out. Plans for an organization for self-defense against government repression were underway as early as July 1946, when Huk leaders and PKP officials met in Candaba, Pampanga. The meeting split the area with armed peasants into two zones, each with its own command: The Central Luzon Command and the Southern Luzon Command. Taruc and Alejandrino were named the commander-in-chief and vice-commander, respectively. The HMB rebellion was at its core, a peasant rebellion. Peasants in Central Luzon were fighting against government repression and abuses by land lords, and were not so much concerned for issues concerning imperialism and nationalism. A plebiscite concerning parity rights, granting American citizens equal "parity" in exploiting Philippine resources as Filipino citizens was passed easily in March 1947, despite urging by the HMB and the DA for a "no" vote. During this time the PKP was undergoing a lot of organizational problems. Regional PKP chapters were disorganized and membership had dwindled on account of repression of the uncertain legal status of the party. The PKP also had no clear focus at the time, and ended up neglecting both trade labor groups in Manila as well as peasant labor groups in Central Luzon. The PKP, led by Pedro Castro, adopted a policy of appeasement, preferring to pursue legal and parliamentary means to achieve reforms, and so opposed the HMB rebellion. This line was opposed by the group led by Jose Lava, a younger brother of Vicente Lava. Castro was eventually removed as general secretary and was replaced by Jorge Frianeza. Frianeza, however, was pushed out relatively quickly. In May 1948, Castro and Frianeza were expelled from the party. Mariano Balgos was named general secretary, although it was an "open secret" that Jose Lava held the reins of the party. It was during this time that the PKP finally lent their support to the peasant rebels in Central Luzon. However it is because of these organizational problems, lack of a clear direction even between top members of the PKP that led to seeming contradictions between its members. Taruc and Alejandrino, for instance, led the HMB in its rebellion against the official PKP policy of a legal and parliamentary struggle endorsed by Castro. Hence, while PKP members close to the peasant movement joined the rebellion, the official party line at the time was opposition to it. The PKP at the time felt that the peasants were fighting for "personal reasons" and as such it was not a strong enough reason to abandon the legal and parliamentary struggle. At the same time the PKP believed that the workers and the proletariat were to become the backbone of the revolution, and not the peasantry. Government officials, local municipalities, landlords, and US intelligence officers, however, were quick to tag the HBM rebellion as a communist one. A report in October 1946 from the US Counter-Intelligence Corps in the Philippines described the PKM and the HMB as "undoubtedly the largest Communist Group in the Philippines". US reports frequently portrayed the unrest in Central Luzon as communist in nature. The Roxas administration used this to secure arms, ammunition and training from the United States in order to combat the insurgency, adopting a "mailed fist" approach in trying to smash the rebellion. President Roxas died of a heart attack while visiting Clark Air Base in Pampanga and was succeeded by Elpidio Quirino. Quirino had a different policy in dealing with the rebels, and offered amnesty to the leaders and members of the PKM and the HMB. A large point of contention in this amnesty proclamation was the understanding that the Huks would be able to retain their arms, provided that they were duly registered with the government, as opposed to surrendering them. With this in mind, HMB leaders such as Taruc came down to accept amnesty on June 21, 1948. Amnesty talks occurred from June 21 to August 15, when negotiations broke down over the misunderstanding of registration of arms against its surrender. By August 15, Taruc had retired back to the fields, and negotiations had failed. After the failure in negotiations of the amnesty, the PKP began preparing for the 1949 presidential elections. The PKP twice tried to get Laurel's commitment to fight American imperialism, but Laurel refused to take a stand when he was told by a party emissary that the HMB revolt was being led by the PKP. Despite this refusal, the PKP had no choice but to extend its "critical support" in the election. Laurel lost the election, and the 1949 elections have been referred to as one of the dirtiest elections in Philippine history. It is also by this point that the PKP and the HBM formed an overt alliance, and PKP influence in the HMB increased. It was during this time that the HMB rebellion peaked. HMB membership numbered at 10,800 in July 1950. The PKP, under Jose Lava, undertook a plan of expansion, with the stated goal of increasing HMB membership to 172,000 by September 1951. A PKP resolution in January 1950 declared the existence of a "revolutionary situation", which required the "total mobilization of the entire Party membership and mass movements it is leading ... to make the QLP [Quirino Liberal Party] administration more unstable." The PKP formulated a plan that would have the HMB, as the military arm of the people's revolution, seizing state power in two years. A "New Democracy" will then be established after the communist takeover. PKP documents during the time detail plans on the establishment of a national provisional government. Emboldened by the existence of a revolutionary sitation, the PKP-HMB performed a series of raids referred to as "dress rehearsals" in order to test the overall capability and public reaction to their plan. A series of raids was conducted on historic dates such as March 29, the anniversary of the formation of the Hukbalahap; August 26, anniversary of the Cry of Pugad Lawin; and November 7, anniversary of the Russian Revolution. The March 29 "dress rehearsals" were considered to be huge successes. The rebels attacked fifteen barrios and dealt property damage amounting to 3 million pesos. The attacks occurred fifteen miles outside of Manila. A second Huk raid occurred on August 26 in Santa Cruz, Laguna, where the rebels managed to obtain cash amounting to 86,000 pesos. Other attacks occurred across Central and Southern Luzon. Both dress rehearsal raids were huge successes, and constituted a propaganda and economic victory for the rebels. They were able to secure supplies, ammunition, and resources, as well as prove that they had the organization and ability to strike. A third Huk raid was to occur on November 7, the anniversary of the Russian Revolution. Plans fell through when Tarciano Rizal, a grandson of the national hero and a disenchanted Huk commander, approached then Secretary of Defense Ramon Magsaysay and divulged the names and whereabouts of the PKP hierarchy in Manila. Government forces swooped in on October 18 on communist hideouts in the city and arrested Jose Lava, Federico Maclang, Ramon Espirity, Honofre Mangila, Magno Bueno, Federico Bautista, Iluminada Calonge, Angel Baking, and Sammy Rodriguez. At the start of the PKP's formal involvement in the Huk rebellion, the party believed that swift military account could topple the government in two years. A large contributor of this belief was that a "revolutionary situation" existed and that peasant groups elsewhere would eventually join the rebellion, ignoring the fact that most of the insurrection was contained in Central Luzon. The party also believed that the United States economy could not continue supporting the administration, and that it would collapse soon. This assessment was based on a Soviet economist. There was, however, a large ideological gap between the PKP leaders and the peasantry who joined the HMB, most of whom joined the rebellion in order to fight for justice and reforms in the Philippine tenancy system. In 1950, President Quirino appointed Ramon Magsaysay as Secretary of Defense. Magsaysay quickly set out to get rid of undesirable elements in the AFP in order to gain the confidence of the people. By improving discipline within the armed forces and civilian guards, abuses against the peasantry decreased and support for the HMB rebels began to wane. Magsaysay combined this with granting full amnesties to rebels who would surrender, as well as instituting land reforms. By acting in the genuine interest of the peasants, Magsaysay managed to obtain support from them and weaken the HMB's base. Whereas the Huk rebellion reached its peak in 1950, it was severely weakened by the time Magsaysay won the presidency in 1953. Economic turmoil combined with military campaigns and government action to improve its image dwindled support for the Huks, many of them surrendering after 1951. On May 16, 1954, Luis Taruc came down from the mountains to surrender. Taruc had long believed that the HMB will only survive if it had the support of the people, and by 1953, he commented that this support no longer existed. A large factor in Taruc's surrender was his ideological disagreement with Jesus Lava, who took over the PKP leadership after the October 1950 arrests. By February 1951, a central committee conference was called in order to reaffirm the existence of a revolutionary situation. Taruc and his group did not believe that such a situation existed, only that there was a passing revolutionary mood in Central Luzon. The February 1951 conference discussed resolutions that could be described as "too leftist and too advanced", in that they assumed the existence of a nationwide revolutionary situation. These resolutions were shot down by other committee members, and a rift between the Taruc and Lava groups emerged. In September 1952, Taruc issued an open letter entitled "Call for Peace", which called for a peaceful settlement between the Huks and the government. Taruc, his brother Peregrino, and Ignacio Dabu formed an "OED Memorandum", proposing a tactical shift from armed struggle to a legal and parliamentary one. The PKP, headed by Lava, at first showed interest in the "peace policy", but condemned it at the last minute. The Taruc brothers were suspended from the party, while Dabu was severely reprimanded. The PKP then adopted an "antiwar policy", which emphasized the utter defeat of the enemy through armed struggle in order to achieve peace. In 1953, the Quirino administration initiated a peace negotiation with Huk commanders in Pampanga. Although Taruc no longer had authority within the PKP to negotiate with the government, he decided to participate in order to consult with the PKP secretariat in Southern Luzon. Negotiations between Taruc and the secretariat however were cut off, and Taruc was expelled from the party. His suspicion that the PKP was out to eliminate him, combined with his desire for peace, led to his surrender in May 1954. Taruc's surrender was a major blow against the HMB rebellion, and most cadres also surrendered when news broke out. Some stragglers remained, and people like Casto Alejandrino fought until as late as 1960 before ultimately being captured. On June 20, 1957, President Carlos P. Garcia signed into law Republic Act 1700, or the Anti-Subversion Law, outlawing the PKP, the HMB, and "any successors of any such organizations". Unlike the first outlawing of the PKP, this was done by virtue of legislative fiat and not by a Supreme Court decision. Lawyers of captured communists argued that the law was unconstitutional. Top communists were either arrested or killed. Mateo del Castillo was murdered by his own bodyguard on November 22, 1957. Alejandrino was captured on October 12, 1960. Of the top PKP leadership, only Jesus Lava remained. Jesus Lava, in a 1955 directive, issued the liquidation of the people's army under the guise of turning it into "organizational brigades". Two years later he issued another directive liquidating all basic units, territorial organizations, and leading organs of the PKP, before going underground. Lava continued to elude authorities until his arrest 9 years later, on May 21, 1964. The PKP was practically non-existent at the onset of the 1960s. This was exacerbated by arrests of top CPP officials, culminating with the arrest of Jesus Lava in 1964. Six months prior to his arrest, Lava appointed four secretaries for the PKP. Among these were Pedro Taruc, a distant relative of Luis Taruc, and Amado Guerrero, nom de guerre of Jose Maria Sison, who at the time was a prominent figure in youth activism. Sison created the Kilusang Makabayan (People's Movement), a youth-oriented nationalist organization in October 1964. That same year, Sison proposed a critique of the history of the PKP, which he submitted in 1966. Sison was highly critical of Lava and his policies during the past decade, referring to his "adventurism" and mishandling of the HMB rebellion. The document was suppressed by another one of Lava's appointees, a distant nephew. Tensions between the Lava group and Sison continued. In April 1967, Lava convened a group of seven and proclaimed himself the general secretary of the PKP. This led to a split within the PKP ranks. The culmination of this split occurred on December 26, 1968, when Sison formed the Communist Party of the Philippines. The next year, Sison established the New People's Army, its military arm. The NPA was headed by Bernabe Buscayno, under the alias Commander Dante. Starting with only 60 fighters and 35 rifles, the NPA focused on building support throughout the period. Events during the Marcos administration would swell its ranks through connections in local communities, the Catholic Church, and unions. In 1969, Sison published the pamphlet Philippine Society and Revolution, which detailed the problems faced by Philippine Society - imperialism, feudalism, and bureaucrat capitalism, as well as its solution - democratic revolution carried out through protracted people's war. The document drew heavily from Maoist principles and outlined the ideology of the new CPP. In 1978, the CPP faced its first major internal debate when the CPP central committee advocated the boycott of the national elections, while the Manila-Rizal committee disagreed, instead wanting to back opposition Senator Benigno S. Aquino Jr. This, combined with other differences between the Central and Manila-Rizal committees prevented the CPP from staging effective operations during the 1978 elections. The disastrous result of the elections contributed to the growing bitterness by the people against the Marcos administration, and combined with the CPP's efforts in mass recruitment led to an increase in CPP-NPA ranks. Disagreements between the policies of the Central Committee and the regional committees however started to grow, particularly in the regional committees' disapproval of the seemingly dogmatic insistence of the central committee's reliance on rural armed struggle. In 1981 the NPA reflected this increase in numbers by staging a "strategic counteroffensive", increasing its autonomy and experimenting with new tactics Battalion-sized groups were possible in Samar and Northern Luzon by the end of the Marcos administration. On the other end of the spectrum, "sparrow units" of one to three people operated throughout the country, especially in Davao Region, assassinating police officers and other targeted individuals. The communists enjoyed mass support from the people and from the Catholic Church, which employed its extensive network to aid the rebels. 1981 also saw the end of Martial Law, which allowed the CPP to operate more openly in the cities. Mass demonstrations were conducted frequently and increased dramatically after the assassination of Benigno Aquino. The party refocused itself and adopted a united front strategy, similar to the one employed by the PKP during the Second World War, in order to attract the largest cross-section of Anti-Marcos supporters. They did this by allying themselves with the National Democratic Front, a nationalist organization founded in 1973 by Satur Ocampo. In February 1986, Marcos called for snap elections. The CPP politburo ruled three to two in favor of a boycott. The resulting popularity of Corazon Aquino, her subsequent victory, and the EDSA Revolution that followed, however, left the communists out of step with popular sentiment. The CPP acknowledged that the boycott was a tactical blunder on their part. By 1986, the NPA had approximately 25,000 members in its ranks, while CPP membership numbered around 30,000. At its maximum strength, the NPA was operating in 69 of the country's 80 provinces. Military activity also increased dramatically during this time. Platoon-sized offensives became widespread by 1979, especially in the Samar province. By 1983, the NPA had amassed 5000 high-powered rifles. The events of the 1986 EDSA Revolution as well as the CPP central committee's decisions were out of step with national sentiment at the time and led to a greater feeling of disagreement between the top leaders of the CPP When Corazon Aquino came into power as President, one of her first acts was to release all political dissidents during the Marcos administration, including Sison. This was followed by peace talks between the government and the CPP-NPA. These peace talks however broke down and ultimately failed, due to a lack of sincerity from both parties; the rebels wanted a public forum more than an actual commitment to peace, while support for negotiating with the rebels was low within the Aquino administration. Sison embarked on a world tour, described as a self-imposed exile, before eventually settling down in the Netherlands. After the breakdown of negotiations, the Aquino administration embarked on a policy of "total war" against the communist rebels, The CPP sought international support during this time from communist movements in Europe, although they failed to do so due to the waning of communism internationally. The capture of two top communist leaders: Rafael Baylosis and Romulo Kintanar, led to the arousal of suspicion within the ranks of the CPP-NPA. Internal purges were carried out in 1988 and 1989, resulting in the deaths of 100 to 120 cadres. The decentralization of regional committees also resulted in the questioning of the authority of the central committee in its analysis and leadership. These issues contributed to the growing splintering of the CPP during this time. In particular three issues were at the core of the disputes: Disagreements between the continuance of the armed struggle, the focus on rural or urban centers, and decision-making capabilities of the central committee. The end of the Marcos dictatorship and the surrounding events after gave renewed hope to people, especially those in the lower cadres, that there is still hope for pursuing reforms through legal means. Much like the Huks of the past, most lower ranking members of the NPA did not truly believe in the ideologies espoused by the CPP central committee, but rather were fighting for their own personal reasons. In contrast, top party leaders like Sison staunchly believed in a protracted armed struggle, with an end goal of establishing communism in the Philippines; a belief not shared by the lower cadres. Sison also believed that the struggle would being in the rural areas of the country and emphasized the role of the rural class. Regional committees, such as the Manila-Rizal committee, however, believed that a more urban approach was necessary, as exemplified by policy disagreements during the 1978 elections. The Manila-Rizal committee felt that they were better prepared to make an accurate assessment of the situation compared to the central committee, as they were the ones "on the ground". In 1992, Sison reaffirmed the primacy of the Maoist-inspired armed struggle, while simultaneously castigating the regularization of NPA squads and the efforts of urban insurrection undertaken in Manila and Davao. This reaffirmation, fueled by simmering dissent between members of the party, caused a split within the those who supported this reaffirmation and those who did not. The split reduced the strength of the CPP-NPA but streamlined its organization by decreasing the autonomy of regional committees and aligning the party ideologically. The split affected both underground and above ground groups, such as human rights groups and legal mass organizations affiliated with the NDF. Those who rejected Sison's reaffirmation, or "rejectionists" went on their separate ways, although not all rejectionists were united. Some rejectionist groups formed their own revolutionary armies, while others turned to politics. One of the most famous rejectionist groups is the Akbayan party-list, who won a congressional seat in 1998. The CPP-NPA returned to peace talks with the Ramos administration in 1998, culminating in the Comprehensive Agreement to Respect Human Rights and International Humanitarian Law (CARHRIHL). Talks broke down and all-out war resumed however when Joseph Estrada assumed the presidency and the CPP protested the ratification of the US Visiting Forces Agreement. The Estrada administration meanwhile continued peace talks with smaller groups of leftist rebels who split from the CPP-NPA in 1992. During the Second EDSA Revolution, the CPP issued a directive to support the ousting of Estrada, in contrast to their previous policies of boycotting. The CPP-NPA at first enjoyed warm relations with the new president Gloria Macapagal-Arroyo. Bayan Muna, a leftist party list affiliated with the CPP through the NDF, won three congressional seats; the maximum under the party list system, during that year's elections. Along with two other parties with supposed ties to the CPP, Gabriela and Anakpawis, they won a total of six congressional seats. Relations would deteriorate however following the September 11 attacks and the Arroyo administration campaigned for the inclusion of the CPP and the NPA to international terrorist lists. Formal talks stopped in 2004 over the issue. During the Arroyo administration, military action against the rebels intensified. By the end of her term in 2010, the NPA was reported to be 3,000 strong. The Armed Forces of the Philippines claims that NPA strength is in steady decline, as operations and arrests of top communist leaders continued. Most recently, in 2014, Benito and Wilma Tiamzon, who were the top leaders in the CPP based in the Philippines in lieu of Sison's exile to the Netherlands, were arrested. 1 2 3 4 5 6 7 8 9 10 11 12 13 14 15 16 17 18 19 20 21 22 23 24 25 26 27 28 29 30 Saulo, Alfredo (1990). Communism in the Philippines: an Introduction. Ateneo de Manila University Press. 1 2 3 4 5 6 7 8 9 10 11 12 Liwanag, Armando (December 26, 1988). "Brief Review Of The History Of The Communist Party Of The Philippines". Philippine Revolution Web Central. Retrieved January 8, 2016. 1 2 3 4 5 6 7 8 9 10 11 "The Communist Insurgency in the Philippines: Tactics and Talks" (PDF). Asia Report. International Crisis Group (202). February 14, 2011. Retrieved January 10, 2016. ↑ Oliveros, Benjie (2006). "May 1st, a History of Struggle". Bulatlat. Alipato Publications. 6 (32). Retrieved January 9, 2016. 1 2 3 4 5 6 7 8 9 10 11 12 13 14 15 16 17 18 19 20 21 22 23 24 25 26 27 28 Kerkvliet, Benjamin (1970). The Huk Rebellion: A Study of Peasant Revolt in the Philippines. University of California Press. 1 2 3 4 Abinales, P. N. (1986). The Revolution Falters: The Left in Philippine Politics After 1986. SEAP Publications. ↑ Rappler (March 22, 2014). "CPP chief, wife nabbed in Cebu – military". Retrieved January 12, 2016.